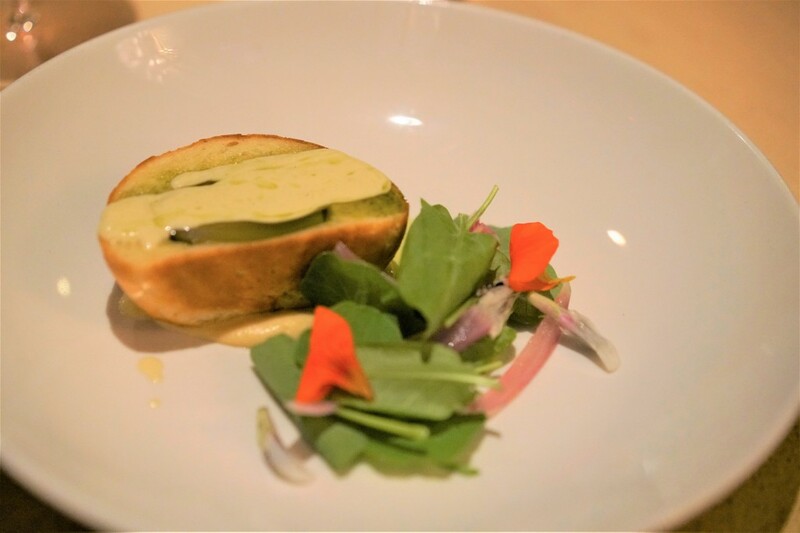 The menu is a celebration of George’s Greek culture with a modern twist. Traditional Greek favourites such as Easter bread, is cleverly transformed to house a delicious onion dish. Tzatziki is given a new flavour hit, combining the well known cucumber element with a caramelised yoghurt ice-cream that manages to nail that delicate balance between sweet and savoury. ONION “Onions cooked in Greek easter bread”. Roasted shallot tsoureki, feta cream, onion and anise puree, fresh and sour herbs. 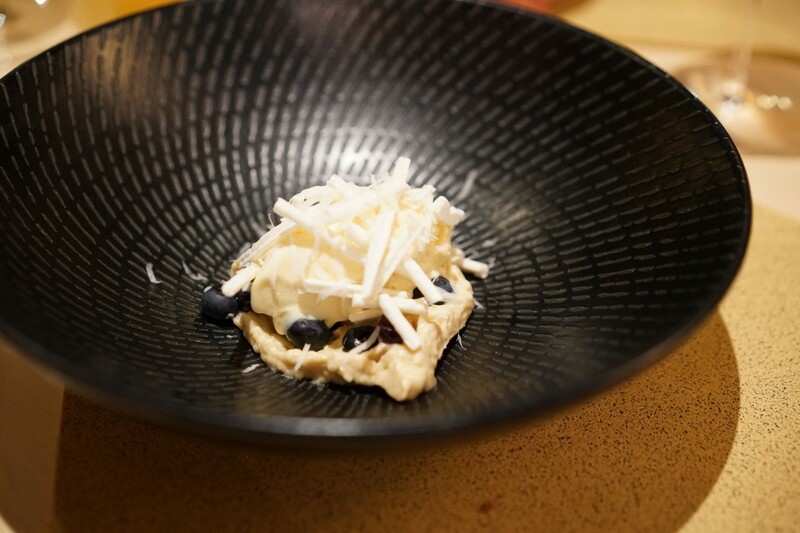 My personal favourite is the Trahana, a dessert inspired by a fermented Greek classic, this combines tahini mousse, blueberries, mastic meringue, kefalograviera and trahana ice-cream, to create a flavour explosion. If you are a meat lover and can’t bear to give up meat in your meal, don’t worry, you can opt to have a meat side added to certain courses. TRAHANA “My grandmother was fermenting before I was born”. Tahini mousse, blueberries, mastic meringue, kefalograviera and trahana ice-cream. Pickled and fresh cucumber, lemon ketchup and caramelised yoghurt ice-cream. KLEFTIKO “Stolen potatoes that we hide in the ground, cook them, eat them and live very happy”. Potato cooked in ash, walnut puree, black fermented garlic, potato foam and crispy potato. ONION “Onions cooked in Greek easter bread”. Roasted shallot tsoureki, feta cream, onion and anise puree, fresh and sour herbs. YEMISTA “A classic Greek idea, a team effort”. Braised carrot, smoked yoghurt and cured egg yolk, with freekah encased in crispy carrot. TRAHANA “My grandmother was fermenting before I was born”. Tahini mousse, blueberries, mastic meringue, kefalograviera and trahana ice-cream. The Kerasma menu will be available until early November.